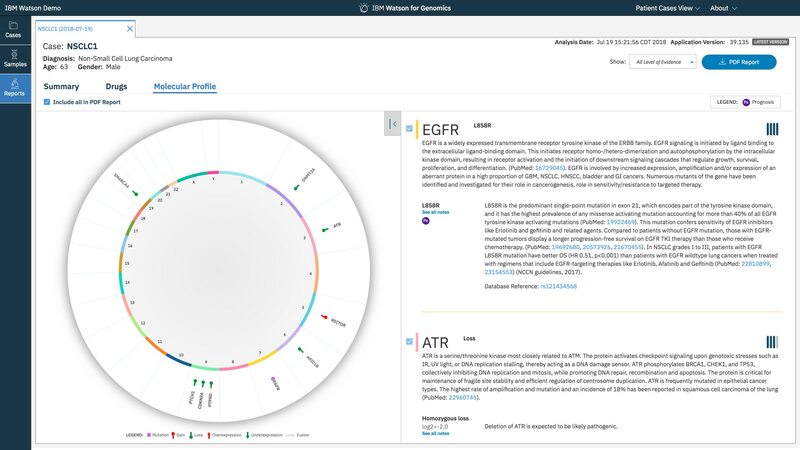 The New York Genome Center and Watson Health collaborated to identify gene alterations that can be therapeutically targeted. Integration of AI approaches to transform big data into clinically actionable knowledge. Leveraging artificial intelligence to turn complex cancer genomic data into actionable results.